Which combination would generate the most sales? What if there was a way for us to find your perfect upsells in one click? 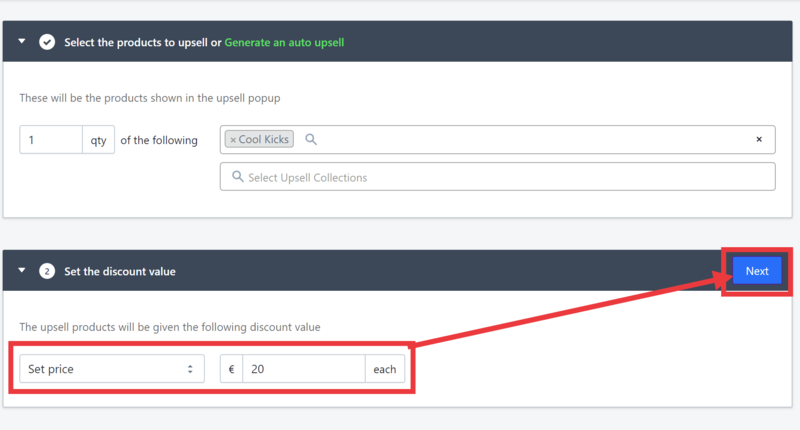 Auto-upsells are based on your order history so the app detects previous orders and generate upsells when similar products are added to the cart again. Step1. Launch the Discounted Upsell app and click Create an Offer. Step2. Click the Generate an auto upsell link. The app will then suggest an upsell popup of products that have been purchased previously based on the order history. Step3. 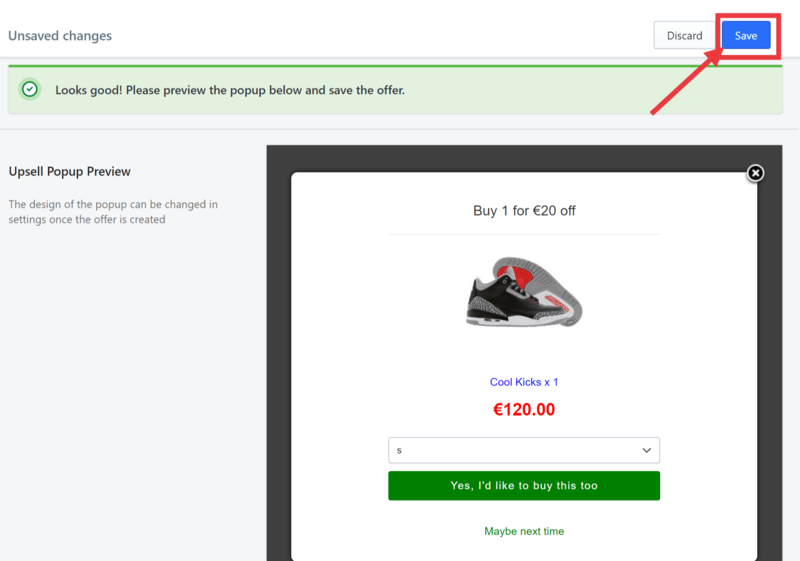 Click Add Upsell Items to add the products to the upsell popup or click Next Items to see the next upsell popup suggestion until you have chosen your desired products. Step4. Click Next on the offer window. Step5. Set the discount value by clicking on the drop-down menu. In this example, we choose Set price. This specifies a fixed price for the product. Click Next afterward. Step6. 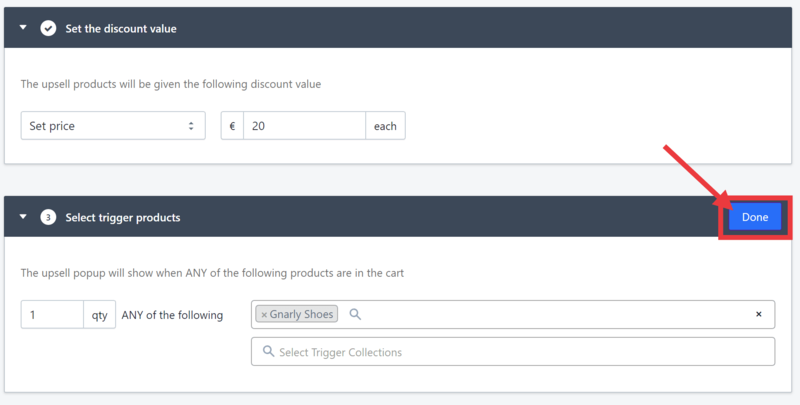 The trigger product section is automatically populated with the partner product that appeared in the upsell popup. Click Done. Step7. You will then have a preview of the upsell popup based on the settings that you have just added. Click Save.